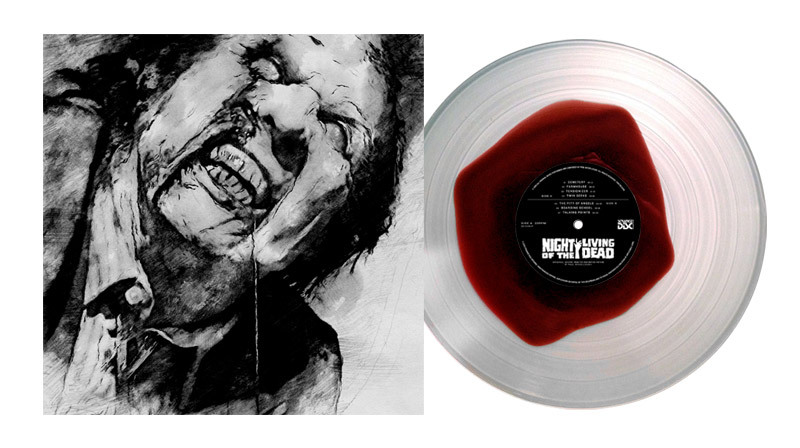 Paul McCollough’s 1990 soundtrack, NIGHT OF THE LIVING DEAD – coming to vinyl for the first time via Strange Disc Records including a Wargod exclusive variant on blood pool vinyl! Click here to pre-order. Night Of The Living Dead is a remake of George Romero’s 1968 zombie classic of the same name. Directed by Tom Savini, the film stars iconic horror actors Tony Todd (Candyman), Tom Towles (Henry: Portrait of a Serial Killer) & Bill Moseley (The Texas Chainsaw Massacre). Savini was initially hired to perform the special effects, but was persuaded to direct by Romero who also rewrote the original 1968 screenplay and gave his seal of approval. Met with resistance at the time of release (expectancy levels were very high), nowadays the 1990 remake is appreciated by fans worldwide and has grown into a classic of its own. Paul delivers a frightening and disturbing (in all right ways) score – giving it an atmosphere of creepy supernatural darkness and a feeling of impacting doom. Pressed on “blood pool” vinyl, exclusive for Wargod and limited to 200 copies. 10. Zombies Win! Zombies Win!